Share and bar foods continue to increase in popularity. Chicken wings are a perfect ingredient to adapt to multiple flavour parings that are perfect for social occasions. Place chicken wings in a large pot of cold water. Bring to the boil and then drain. Mix flour, KNORR Aromat, Chinese five spice, chili powder and pepper together. Add chicken, toss to coat. Shake off excess flour mixture. Place chicken in deep fryer. Cook until golden and crispy. Place hot water in a large pot, whisk in KNORR Chicken Gravy. Bring to the boil while stirring continuously. Add plum sauce. Reduce heat and simmer for an additional 2 minutes. 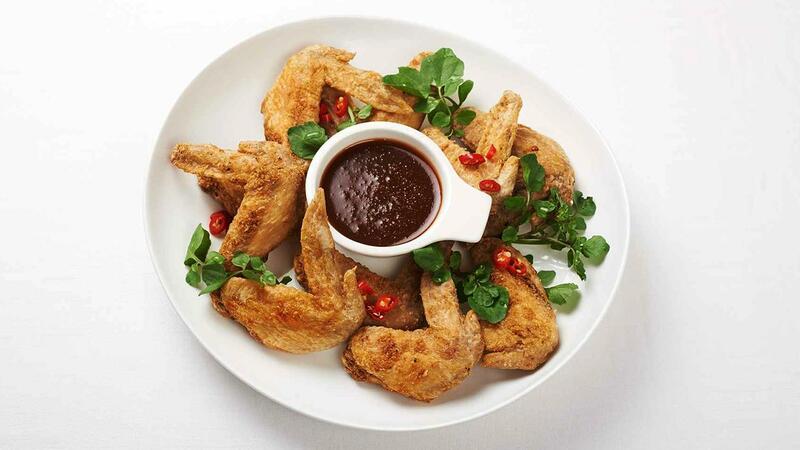 To serve, arrange wings on a platter with picked watercress and chopped chili. Serve with a side of hot dipping sauce.